Francesco Molinari-Pradelli was a prominent Italian opera conductor. He studied piano and composition at Bologna, and graduated from the Accademia di Santa Cecilia, Rome in 1938. He made his debut at La Scala in 1946 and his Covent Garden debut in 1956. His account of Puccini's Turandot with Birgit Nilsson and Franco Corelli is commonly regarded as one of the greatest recordings of that work. After having won the National Competition for young opera singers in Spoleto, he made his debut in the same city in the role of Colline in La Bohème in the Festival dei Due Mondi. 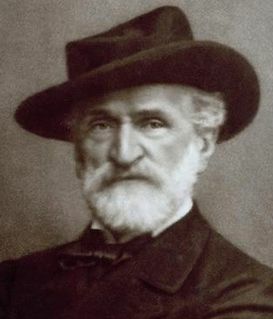 Subsequently an opportunity arose for him at the Teatro dell'Opera in Rome when he was called upon to substitute in the role of Procida in Giuseppe Verdi's I Vespri Siciliani , and he received enormous success from the public and the critics. The young singer was very shy and stiff at first, but his early directors helped him, and he was soon an accomplished opera actor. Raimondi's career soon extended to the major opera houses in Italy, such as La Fenice in Venice, the Teatro Regio in Turin, Teatro Comunale in Florence and abroad, beginning with the Glyndebourne Festival (Don Giovanni in 1969). His La Scala debut was as Timur in Turandot in 1968, his Metropolitan Opera debut was as Silva in Ernani in 1970, and his Covent Garden debut was as Fiesco in Simon Boccanegra in 1972. In 1975, he made his Paris Opera debut as Procida, followed by the title role in Boris Godunov , and his Salzburg Festival debut in 1980 as the King in Aida . In 1986, he first directed a production of Don Giovanni, and decided to continue his career as a director as well. Some of his most important roles have been King Philip in Verdi's Don Carlos ; Fiesco; the title roles in Boris Godunov (including the Andrzej Żuławski film) and Attila ; Silva; Escamillo in Bizet's Carmen (including the Francesco Rosi film, 1984, with Plácido Domingo and Julia Migenes); the title role in Don Giovanni (including the Joseph Losey film, 1979); Count Almaviva in The Marriage of Figaro ; and Don Alfonso in Così fan tutte ; the title role in Don Quichotte by Massenet; and Scarpia in a recording of Tosca produced by Ardermann and later filmed live from Rome, with Plácido Domingo and Catherine Malfitano, conducted by Zubin Mehta. He also made the television film Six characters in search of a singer. In 2008 he appeared in the Mini-Series "Les Sanglot des Anges" on French TV, in which he played the role of an Italian opera singer. In July 2011 he played the role of Pagano in Verdi's I Lombardi alla prima crociata on the rooftop of the Duomo of Milan . The concert was organized to celebrate the 150th Anniversary of the Italian Unity by the Veneranda Fabbrica del Duomo di Milano . Boris Godunov is an opera by Modest Mussorgsky (1839–1881). The work was composed between 1868 and 1873 in Saint Petersburg, Russia. It is Mussorgsky's only completed opera and is considered his masterpiece. Its subjects are the Russian ruler Boris Godunov, who reigned as Tsar during the Time of Troubles, and his nemesis, the False Dmitriy. The Russian-language libretto was written by the composer, and is based on the drama Boris Godunov by Aleksandr Pushkin, and, in the Revised Version of 1872, on Nikolay Karamzin's History of the Russian State. Andrzej Żuławski was a Polish film director and writer. He was born in Lwów (Lviv), Ukrainian SSR. Żuławski often went against mainstream commercialism in his films, and enjoyed success mostly with European art-house audiences. John Macurdy is an American operatic bass. Among his teachers was the contralto Elisabeth Wood, who was also the pedagogue of Norman Treigle. Nello Santi is an Italian conductor. He is often called "Papa Santi" by his fellow musicians to show their high respect for his work. Géraldine CHAUVET is a French operatic mezzo-soprano .She was born in Bayeux and studied music at the University of Tours, initially specialising in flute and piano. She studied singing with Udo Reinmann, later with Mezzosoprano Grace Bumbry in Salzburg and finally with Mezzosoprano Brigitte Fassbaender. This list includes opera productions of the Opera Group and Opera Company of Boston from 1958 to 1990. Sorin Coliban is a Romanian opera singer with an international career. His voice range is bass–baritone. He is known for the volume and projection of his voice, both of which help him to sing both bass and baritone roles. He is one of the few singers to have performed with two different voices in the same performance: bass-baritone and countertenor. Raquel Pierotti is a mezzo-soprano opera singer. She specialized in coloratura roles in the Rossini and Handel repertoire.